Although various American ratsnakes have long been pet trade staples, Asian species have received far less attention from snake enthusiasts. Among them, however, we find a fantastic diversity of colorful, interesting species, some of which are now being bred in captivity. My favorite is the magnificent Moellendorff’s Ratsnake or 100 Flower Snake (Orthriophis moellendorffi). It’s other common names – Red-Headed Ratsnake, Flower Snake and Trinket Snake – are a testament to its striking coloration. Considered by many to be the most beautiful of all ratsnakes (“designer morphs” included! ), Moellendorff’s Ratsnake care is now fairly well-understood…and it may well become the next “break-out” species from Asia! Please Note: Unfortunately, I had difficulty finding photos that would reproduce well for this article. The youngster pictured below is not as colorful as are many. The other ratsnake species pictured here will give you some idea of the beautiful colors and variations exhibited by this fascinating group. Please click here to view other photos of the 100 Flower Snake. The Chinese name for this striking creature – 100 Flower Snake – seems to me to be the most appropriate of all. A dazzling variety of blotches, which vary in color from rust-red to black, mark the body. Areas of red or orange usually adorn the head, and re-appear along the lower third of the body. The jet black eye is encircled by brilliant orange. Individual 100 Flower Snakes exhibit a mind-boggling array of variations to this basic pattern…even, it seems, within the same geographic area. In fact, breeders are generally unable to predict what the youngsters will look like! Adults reach 5-8 feet in length. 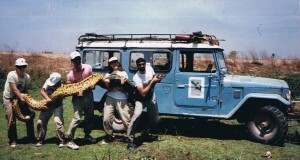 Field studies are, lacking, but over-collection for the food trade is said to have placed this snake in jeopardy. As far as is known, the 100 Flower Snake is limited in range to southeastern China and northern Vietnam. It is most frequently found in and near limestone caves on rocky hillsides, and among nearby bamboo thickets. Lightly-wooded fields and riverside brush are also utilized. Hopefully, further studies will shed more light on its range, habits and conservation needs. Scant published observations indicate that the 100 Flower Snake preys upon ground squirrels, rats, bats and other small mammals, birds and, perhaps, lizards and frogs. 100 Flower Snakes seem stressed by small enclosures, and should be provided with proportionally larger accommodations than their American counterparts. While a 55-75 gallon aquarium will suit small individual, larger adults are best provided custom-built cages measuring at least 6 x 4 x 4 feet. Stout climbing branches should be provided. Cypress mulch is preferable to newspapers as a substrate. 100 Flower Snakes seem adapted to cool conditions, and fare best at temperatures that are relatively low by snake standards; wild individuals shelter in caves and forage in the early morning and evenings. An ambient temperature of 70-77 F should be established, along with a basking temperature of 78 F; a dip to 68 F at night may be beneficial. 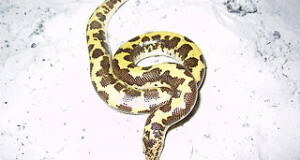 Some keepers indicate that their snakes show a decided preference for subdued lighting. Shedding difficulties often occur in overly-dry environments. A humidity level of 50-60% is ideal, but dry basking areas must also be available. 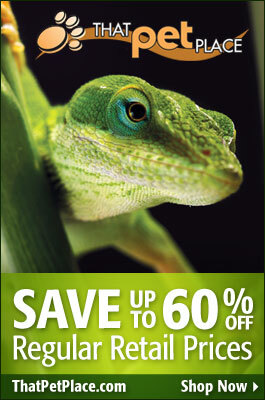 A hygrometer and small reptile mister may be useful in maintaining proper humidity levels. The need for dry and moist areas and a varying temperature gradient argues in favor of providing this species with the largest possible enclosure. A dry cave or other shelter, and another stocked with moist sphagnum moss, should be provided. Despite their size, adults should be fed smaller meals than would be offered to similarly-sized individuals of other species. Although we still have much to learn, it seems that adult rats may cause digestive problems. Fuzzy rats (“hoppers”), rat pups and pink or fuzzy mice are often favored. Some individuals prefer chicks, but usually accept chick-scented rodents. Captive breeding is infrequent but on the rise…this trend will undoubtedly continue as more snake enthusiasts become aware of this beautiful snake. A 2-3 month cooling off period at 58-62 F seems to stimulate breeding behavior. Clutches generally contain 5-8 eggs, which should be incubated at 80-82 F for 80-90 days. Individual tolerance of handling varies almost as much as does their color pattern! As with most snakes, wild-caught animals may remain defensive for quite some time. It appears that the 100 Flower Snake is a retiring species that prefers to be left alone. However, captive-bred individuals usually adjust well to careful handling. As with all snakes, caution must be exercised when they are being fed or handled.